For many opponents of the proposed mega quarry in Melancthon, the call to arms was a call to the streets – to rallies in Honeywood and Toronto and to the long march from Queen’s Park. For others, it was a call to the keyboard – to set the blogosphere abuzz with posts and petitions. For artists, it was a call to their muse. Rusty Trio, Bronwyn Fitz James. Photo by Sandiwongartist.Com. Quarry opposition has produced an explosion of creativity as artists, in groups and individually, have joined ranks in protest, brandishing paintbrushes, cameras and musical instruments. Stand… or Fall? Sandi Wong. Photo by Sandiwongartist.Com. Wong’s sense of community was galvanized when, in its quarry development application, the Highland Companies described the area as having “no heritage or culture of significance.” She set out to prove how wrong that assessment was. As a first move, Artists Against the Mega-Quarry organized a “paint-in” last fall. To celebrate the “beauty of the hills at risk,” artists set up their easels and painted the scenic landscape and farmhouses en plein air at the quarry site. 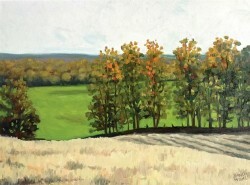 The paintings created that day and in the days since have been exhibited at shows the group has hosted in Toronto and Honeywood. A second paint-in will be held this year on June 30. The students, many of them first-generation Canadians, were largely unaware of the issue before the assignment, but after throwing themselves into research for the project, they created posters that channel a palpable sense of disbelief and anger about the proposed quarry. Poster, Lauren Livingston, OCADU student. Photo by Sandiwongartist.Com. For these students, poised to become tomorrow’s designers, the sense of accomplishment was reinforced when the posters were featured first at a show at the university, then as a guest exhibition at the Artists Against the Mega Quarry show in Honeywood this spring, as well as at other Toronto venues, including the Earth Day Canada Gala held at the Drake Hotel earlier this month. 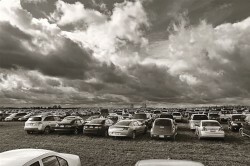 Foodstock, John Church Orangeville photographer John Church has been inspired by the scale and beauty of Melancthon farmland, though in this photo it was the drama of the sky and volume of cars at Foodstock that caught his attention. Even “culinary artists” have joined the fray. Chef Michael Stadtländer and the Canadian Chefs’ Congress hosted Foodstock last October. The hugely successful event attracted more than 20,000 people who came to Melancthon to sample the local-food inspired creations of chefs from Headwaters, Toronto and beyond. This year, the Chefs’ Congress will be joined by the Suzuki Foundation to host a repeat event, called Soupstock, planned for October 21. Stadtländer was also the managing chef at the recent Earth Day Canada Gala. The theme was “Art meets the Environment” and singer-songwriter Sarah Harmer gave the keynote address. Harmer, an activist who works to protect the Niagara Escarpment, warns, “If they blow a hole in the backbone / The one that runs cross the muscles of the land / We might get a load of stone for the road / But I don’t know how much longer we can stand.” Harmer was also among the musicians who performed at Foodstock, along with Jim Cuddy (a Mulmur weekender), Ron Sexsmith, Our Lady Peace, and others. All this local art-as-activism has deep cultural roots. From such movements as site-specific art (created in situ), and Earth art (created using natural materials), to Slow Food (cuisine created from the local ecosystem), and bioacoustic music in the tradition of Bernie Krause, artists around the world have continued to draw inspiration from nature and stage interventions in support of environmental causes. Meanwhile, the revenue generated through the Artists Against the Mega Quarry sales supports the North Dufferin Agricultural and Community Taskforce (NDACT) and Citizens’ Alliance for a Sustainable Environment (CAUSE), helping to offset legal expenses and the costs of scientific consultants. That effort was given a significant boost when Canadian photographer Edward Burtynsky donated a photo to the artists’ recent show. Looking West, Virginia May. Photo by Sandiwongartist.Com. Angie, Sarah Hillock. Photo by Sandiwongartist.Com. Canola, Michele Johnston. Photo by Sandiwongartist.Com. Evanescent, Juliet Jancso. Photo by Sandiwongartist.Com. Joan Armour. Photo by Sandiwongartist.Com. 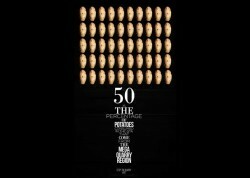 Poster, Evelynne Malangyaon, OCADU student. Photo by Sandiwongartist.Com. Poster, Dawnice Williams, OCADU student. Photo by Sandiwongartist.Com. Poster, Anton Mwewa, OCADU student. Ella Soper teaches environmental literature at the University of Toronto Mississauga and at York University. This spring, when The Highland Companies filed its application for a 2,316-acre limestone quarry, a small rural protest caught the big wave. 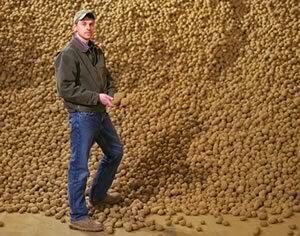 The Highland Companies, a U.S.-based investment syndicate, has assembled 9,500 acres, most of it in Melancthon, but many people in the community, led by NDACT, worry about the future of their farmland and water resources. 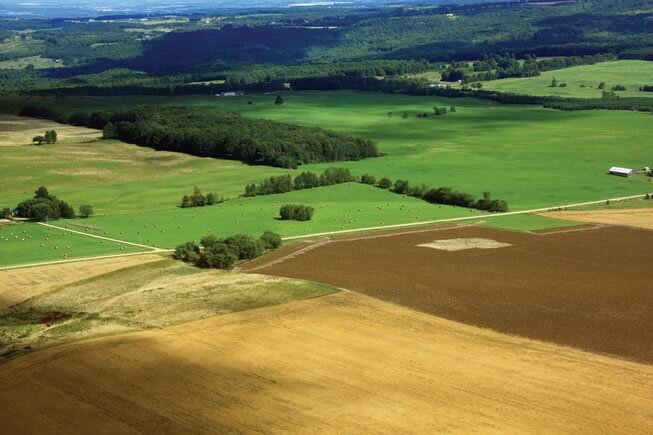 Protect Ontario’s land and drinking water, stop the Melancthon mega quarry. View Adrienne Arsenault’s report from CBC’s The National. 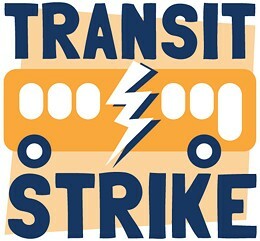 It's frustrating that for the duration of the transit strike, now in its 24th day, we---the public---are left hearing competing versions of the scheduling and overtime issues that are at the heart of conflict, but haven't been provided with much information beyond talking points. Fortunately, yesterday a bus driver gave me the actual scheduling documents used to assign shifts, called the "run cut," and the proposed documents that the city wants to use. I don't know why neither the city nor the union made these documents public before, but now people can look at the documents and form their own conclusions. There are two documents. The first is a list of the existing bus driver shifts, as of November 2011, found here (PDF, 120 MB). The second is an example of the proposed "roster" of shifts the city is putting forward, as presented to drivers, and is here (PDF, 88 MB). Duty is simply a number for that particular schedule piece. Runs that begin with a 1 are weekday routes, runs that start with a 6 are Saturday routes, runs that start with a 7 are Sunday and holiday routes and the runs that start with 8 are last year's New Year's Eve buses, which fell on a Saturday. Pce is the break down of that shift into its components. EvtSta is a designation for differences in routes when school is in session or not; "Son" means school is in session and "Soff" means school is not in session. Duty routes are the route numbers, which are self-explanatory. "ecs" is the "employees coach," which will take drivers from the garage to one of the terminals, typically Mumford. Block is just a scheduling designation, and not important here. Report means the time the driver has to check in. He or she actually has to be in the garage a bit before this, to begin the checklist on the bus, but the "report" time is the official acknowledgement that he or she is present for work for the day. If drivers miss the report time, even by a minute, they lose the shift and can't work. Start is the time the bus starts rolling. From is where the route begins. The designations are "gar" for the Burnside garage, "gar3" is the Ragged Lake garage, "bdnb" is Barrington/Duke (i.e., Scotia Square) northbound, "bdsb" is Scotia Square southbound, "mumf" is Mumford Terminal and "dsc" is Dartmouth Shopping Centre, which is where the Bridge Terminal used to be. End is the time the driving ends. To is the location the route ends. Clear is the time the shift officially ends. Sometimes this corresponds with the end of the driving, sometimes not. The assumption is that the driver gets 10 minutes both before and after driving to go through the checklist, adjust mirrors and seats, etc. PceDur is the length of time on the road for each leg of the shift. Sprd is the length of the time from beginning driving to end of driving. For a straight eight-hour shift this will be eight hours, but for split shifts, the driving might be eight hours, but the spread 11 or 12 hours. PlatDur is the total length of time the driver has been driving that day---that is, all the PceDurs added together. DtyWrk is the amount of time the driver is getting paid for. I'll have more to say about this immediately below. The rest of the cut run details what type of bus the driver is using, which garage it is assigned to and, in the last column, any travel time that might be paid---few runs have travel time; those that do are typically 15 minutes, when a driver has one leg of the run end at one terminal and the next leg begin at another. Notice that some PlatDurs are under eight hours, but the driver gets paid for a DtyWrk of eight hours. Other PlatDurs, plus the 10 minutes before and after driving, result in a DtyWrk that is considerably more than eight hours---this is overtime built into the system, by the way management schedules the routes. For example, the very first run, #1001, is scheduled as an 8:45 day, five days a week; that's 45 minutes overtime a day, or 3 hours and 45 minutes overtime a week, every week school is in session, just for that one route. The drivers or their union are not responsible for that---the scheduling is entirely the creation of management. All told, for the November 2011 run cut, there were more than 41 hours of overtime scheduled per weekday, for 310 runs---on average, just over eight minutes per driver. But that's eight minutes each and every day through the week, so it adds up. And some of the runs are well over an hour of overtime per day, as scheduled; drivers on those runs could rack up more than 250 hours of overtime a year, through a system completely designed by managers. For Saturdays, the run cut listed more than 74 hours of overtime scheduled for 158 runs---that is, almost 29 minutes per driver. For Sundays, the run cut listed more than 54 hours of scheduled overtime for just 109 runs---that is, more than 30 minutes of overtime per driver. The run cut is changed every three months, and there is additional scheduled routing overtime for one-offs like New Year's Eve and the Canada Games buses, but if we are to extrapolate out the November 2011 numbers for an entire year, we arrive at about 17,500 hours of overtime---meaning extra pay for drivers of $630,000, with even more costs for Metro Transit for taxes and the like. Let's call it three-quarters of a million dollars of overtime costs, structured right into the bus route scheduling, just for the regular day-in, day-out normal running of buses. That includes no vacations, no sick days, no snowstorms, no extra buses for special events. Not a penny of that overtime cost can be blamed on drivers in any way---it is entirely due to management's scheduling of buses. But vacations, sick days, snowstorms and special events are parts of the real world, and have to be scheduled for as well, so overtime related to those real world occurrences also have to be scheduled for. That not to say that Metro Transit's scheduling is necessarily lacking. Bus scheduling is something of a science, and a complicated one at that; maybe Metro Transit's bus scheduling is the very best, the pinnacle of efficient use of labour and bus use. But is it? I'll return to that question in a moment. But first, let's look at how the run cut plays out for drivers. The "report" time on the run cut is the very first consideration for a driver---it's an absolute deadline; miss it and you miss your shift, and therefore your pay for the day. If the run starts at one of the transit garages, this isn't any more of a problem than it is for everyone else who has to be at their job at a set time. But if the run starts somewhere besides the transit garage, but ends at the garage, the driver has to figure out how to arrange transportation to and from work. This problem is typical for runs that start after the morning rush hour is complete, when a new driver takes over a bus from the early morning driver. For instance, the driver for run 1205 has to report at Scotia Square at 7:58am, in order to take over the bus driving the #56 route at 8:05am. She drives that route until 12:37pm, when she hands the bus off to another driver at Scotia Square. She then gets a couple hours of break, but has to start work again at 2:32pm at the Mumford Terminal in order to take over the bus on the #41 route. She drives that bus until 7:04pm, and ends up at the Burnside garage. At first appearance, the 1205 run driver doesn't have it so bad. Through the course of the day she is only actually driving the bus for seven hours and four minutes, but gets paid for eight hours. A deeper look, however, shows a different picture. To begin, her work day is spread over 11 hours and 14 minutes. Then there's the consideration of how to get around. There are any number of approaches to this, but typically drivers will drive their cars to the ending point, so that when the work day is over they can go home without adding still more trouble to their day. In the case of the 1205 driver, she'll drive in the morning to Burnside, then catch one of the buses departing from the garage to Scotia Square, to start her day. At the end of the day, she'll end up back at Burnside, where her car is. But recall that if drivers miss their "report" time, even by a minute, they lose their shift. The big concern for the 1205 driver is that the bus she catches to Scotia Square can't be late. All of us who commute by bus know this fear---late buses can destroy our day. If our entire day's pay depends on the unreliable bus scheduling, we do what we have to do; we take an earlier bus. The driver who gave me the run cut explained it to me this way: "If I have to go from Burnside to the Bridge Terminal, I start out an hour early. If I have to go downtown [to Scotia Square], it's an hour and a half. And if I have to be at Mumford, I leave two hours early." For the 1205 driver, a second travel issue arrives during her break: she has to figure out how to get from Scotia Square to Mumford in time to start the second leg of her shift, eating away perhaps another hour in order to be certain she meets her report time. Why aren't the buses on schedule? That the bus drivers themselves face the same bus scheduling frustrations as every other commuter raises the question: Why aren't the buses on schedule? There are three issues here. The first is the variables of weather and traffic. The runs all have specific start and end times, with time certains throughout---all the times listed on each route schedule, at major intersections---but if there's a sudden snowstorm, or a massive accident on the route, time will be thrown off. There's really nothing the driver can do about this. Franky, I don't understand how anyone could blame a driver for the bus being held up in traffic. The driver is as frustrated as everyone else; "you think we like getting yelled at by customers?" asked a driver rhetorically. Drivers say some routes are particularly problematic because they have lots of potential choke points---the #52 being an extreme example, as it has to deal with traffic in Burnside, on the bridge, North Street and then again out in Bayers Lake. The geography of our narrow streets amplifies traffic or weather problems, say drivers, and our icy winters present another set of issues. The schedules could be stretched out, with longer waiting times at the time certain points, but that would slow everyone's commute, even when there's nothing out of the ordinary. I don't think that's much of a solution. It seems to me the best fix to these problems is simply more buses, running more frequently. The second problem leading to troubled scheduling can to some degree be laid on the drivers: they're human, and so require washroom breaks. The run cut illustrates the issue clearly. As an example, let's look at a bus I deal with on a regular basis, the #10, which runs between Dalhousie and the Caledonia area in Dartmouth. On Saturdays, there's a driver assigned to run 6138; the driver starts work at 2:23pm, then drives straight through, for 10 hours, to 12:36pm. The driver gets no scheduled breaks, no meal break, no washroom break. For the 6138 driver, there are lots of time certains built into the schedule: at Dalhousie, SMU, Spring Garden/Park, Scotia Square, Bridge Terminal, MicMac Mall, Tacoma Centre, Woodlawn/Main and then at the end of the route at Inverary/Strath. At the Dartmouth terminus of the route, the driver has exactly one minute before starting off again, in reverse order, through all the time certains, back to Dalhousie. If there are no traffic problems or other delays, the route from Dalhousie to the Dartmouth suburbs and back again takes one hour and 50 minutes. At Dalhousie, the bus sits at the corner of South and LeMarchant Streets for 10 minutes. Maybe, just maybe, that's enough time to dart over to the Dal Student Union for a quick pee, but here's hoping there are no greater needs. In reality, in such situations, the driver has to dart out for a washroom break somewhere along the route, and either has to try to get ahead of schedule, so the schedule corresponds with the time certains after, or get delayed and drive like hell to catch up with the schedule, or both. Throw in any other delay, and the problem with washroom breaks get magnified. The Saturday #10 is hardly unique---nearly every run has very limited, if any, opportunity for driver washroom breaks. You could hear the distress in drivers' voices, when they urged city council to build the new Bridge Terminal sooner, rather than later. The Sportsplex, right across the parking lot from the existing Bridge Terminal, is not close enough for driver to dart to the washroom for the four minutes or so they're waiting at the terminal, but a washroom at the new terminal will provide that opportunity. The third reason for schedule disruptions is a sort of catchall related to passengers and equipment. If the #10 has to pick up 50 Christmas shoppers at MicMac Mall, which happens, there's going to be a delay getting them all in the bus. The #10 is not a wheelchair accessible bus, but for those routes that are, that presents another delay. The new buses are also causing delays, says one driver. The "wave your hand to open the door" thing can be quite slow compared to traditional "push the bar" doors, and when there are hundreds of stops over the course of a route, that adds considerable time. The same driver tells me that the interior lights on the new buses are too bright, and cause safety issues. The lights are so bright that they reflect off the loading door, and the driver can't see out into the darkness. "Every time I'm driving down Lacewood, I pray there isn't anyone in the bike lane, because I can't see them if there is," he says. This driver says that it took management more than six months to respond to this problem before a front interior light near the driver's seat was removed on all the new buses; the situation has improved but has not gone away, he says. Those concerns slow him down, especially at night. Whatever reasons might be behind busted schedules, besides leading to frustration for drivers and riders, they also lead to increased overtime costs. When I look at the run cut, the thing that jumps out at me is the long hours. There are some extreme examples: on New Year's Eve, the driver of the #22 is working a straight shift, with no breaks, for 11 hours and 33 minutes; the driver of the #10 is working 11 hours and 54 minutes straight through, as is the driver of the #6. These drivers are working into their 11th and 12th hours, dealing with drunken passengers and city streets full of post-New Year's celebration drivers. This can't possibly be safe. The New Year's Eve examples are extreme, but daily shifts of nine and 10 hours or more are a regular, normal feature of the run cut. I worry that this translates into drivers who are over-stressed and tired. Look, we all have challenges and difficulties with our jobs; that's why they call it "work." I'm not trying to glamourize bus drivers into some exalted class, but that said, bus drivers' work conditions are indeed difficult: They have eight-hour paid shifts being stretched over 11 or 12 hours, the stress related to finding transportation between multiple workplaces, and they need to maintain an attentiveness that most workers don't have to worry about (if I nod off at my desk or get distracted by a quick game of Angry Birds, dozens of people's lives aren't at stake). It's perfectly understandable that driver divorce rates are through the roof; the kind of hours they have to commit to their jobs, paid or not, and the weird scheduling related to it, will test any relationship. Up til now, the tradeoff has been in exchange for those long hours, drivers have gotten decent (not great) pay, and some flexibility with scheduling, the so-called "cafeteria style" pick. The cafeteria style pick has been misrepresented in some circles. It does not mean that "drivers get to decide when they work," as someone told me this morning; drivers have to work five eight-hour shifts or four 10-hour shifts a week, and they can't just decide willy nilly when they want to come in and leave---they have to choose from shifts prescribed by management. As it is now, based on seniority, drivers get to pick from the run cut every three months---that is, for a three-month period, they choose a week-long schedule, from among the offerings determined by management. Their weekly schedule will remain the same, every week for three months, until management comes up with a new run cut in order to meet changing schedules. So, a long-time driver might decide to work a straight eight-hour shift, Monday through Friday, and be done with it. As drivers work through the list of offerings, the choice straight-eight shifts will disappear for drivers with less seniority, but there are other possibilities. Maybe a driver gets visitation with his kid on Wednesday nights, so he's able to choose that night off and work Monday, Tuesday, Thursday, Friday and Saturday. Maybe another driver has a spouse who has Mondays and Tuesdays off, so she picks a schedule that provides that opportunity. The picks aren't unlimited---there has to an open run as listed on the run cut---but as the driver builds a bit of seniority, the opportunity to have something of a family life remains. I can tell you, I've heard from many, many drivers that taking that opportunity away is simply a deal-breaker. The limited flexibility in what is otherwise a schedule that makes high demands on their time is what keeps them sane, and keeps them connected with their families. The city says collecting the drivers' various wishes, in order of seniority, is a paperwork nightmare. Mayor Peter Kelly repeated this at a recent press scrum, when he talked of managers having to chase down drivers with paper and pencil over weeks at a time. Drivers don't dispute this. In fact, in the second decade of the 21st century, Metro Transit management is still putting together driver schedules with paper and pencil. One driver tells me that a roving manager finds him while he's driving on route. The manager's SUV will pull up behind the bus, and a second driver will jump out to take over the route for 20 minutes or whatever, while the manager and the first driver go over the existing options, and the driver makes his pick; he's then driven back to his bus. Similarly, each and every one of the 500 or so drivers is tracked down, one after another based on seniority, and a manager writes down the driver's pick. This is, in a word, insane. We are a computerized society, and computer programs for cafeteria-style scheduling picks have existed for decades for, for example, the scheduling of airline pilots based on seniority. Most drivers have home computers, and there are computers at each garage, as well as in the union hall. There's no reason a minimally competent bus system couldn't have computerized the schedule pick system years ago. Regardless, the city insists on doing away with cafeteria-style scheduling and replacing it with what's known as rostering. With rostering, there's still the run cut, but management puts together a weekly block of shifts---the roster---and the drivers get to choose among those rosters based on seniority. The city claims that this will reduce overtime demands. I don't see it: as I've explained before, overtime exploded last year in the face of absent management and the bizarre insistence that drivers work either out of the Burnside garage or the Ragged Lake garage, but not both. Management has decreed that each garage is a separate financial entity, and drivers can't be switched between the garages to fill needs; instead, overtime is incurred to meet needs at each garage, even when there are idle workers sitting at the other garage. My sense is that nearly all the increased overtime costs from last year can be attributed to the opening of the new Ragged Lake garage, as can a corresponding explosion in management pay. In order to sell rostering to drivers, Metro Transit produced an "example" of the new roster, linked to at the beginning of this post. The example was not meant to be an actual roster, but it's interesting to have a look at it. The proposed roster doesn't do away with any of the existing runs, but simply blocks them together in week-long choices. The built in overtime that costs the system three-quarters of a million dollars a year is still there, and the 11- and 12-hour days for drivers is still there. The only thing that is changing is that drivers will find that wee bit of control over their lives---the possibility to determine a small part of their schedule---is taken away from them. This does nothing whatsoever to reduce overtime, but merely pisses drivers off. So what's going on here? This is my thought: Metro Transit management hasn't gotten a handle on its scheduling for maybe a decade, and is trying to pass the buck for its failures onto the drivers. There are some tells. First, what we now know as the Bridge Terminal started its life over at the Dartmouth Shopping Centre, and was moved to its present location in 1995, yet the terminal is still called "dsc"--Dartmouth Shopping Centre---on the run cuts. Seventeen years have gone by, and no one has thought to change the run cut to reflect the proper name of the place. Second, the run cut refers to a "gar" and a "gar3"; the second garage---gar2---was a temporary satellite garage in Burnside that was discontinued when Ragged Lake opened. Getting into the computer program and calling Burnside "Burnside" or "gar1" and Raged Lake "Ragged Lake" or "gar2" is evidently beyond the capability of the organization, so they just tacked on "gar3" and let "gar2" remain on the back end as some ancient relic. Third, well, pencil and paper and private one-on-one interviews with drivers for schedule picks? Really? In 2012? When off-the-shelf software exists to do the job? Fourth, sigh: GoTime. One of these days, if I can ever brace myself to deal with the colossal mess head-on, I'm going to write a detailed history of the failure of GoTime; for now, let's just let the thing, or rather lack of the thing, speak for itself. Fifth, putting bookkeeping ledgers above saving money for the operation of the two garages. Sixth, no management whatsoever at Metro Transit for nearly all of 2011, but rather a rotating cast of middle managers, none accountable for the overall fiscal health of the system. Given all these management failures, overtime exploded last year. Newly installed management was told to do something about it and rather than face the management failures directly, the decision was made to blame drivers. As seen in the proposed rostering example, the change in schedule picks won't reduce overtime, but it's easy to craft an anti-union message around it, and hope for breathing space for management for a year. The "blame the drivers" mentality has poisoned the public rhetoric around the bus system, and drivers are fearing riders' reactions whenever the strike does end. "I've got to face the riders every day," says one driver. "But management is going around saying all this awful stuff about us; what do they think will happen?"